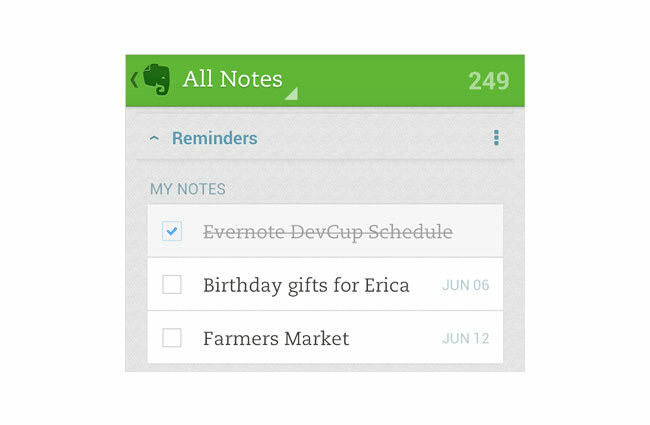 Evernote has rolled out an update to its Android app today that brings with it a numb rod new features including alarms, note based to-dos and the ability to pin notes to the top of your note list. The Android update arrives a few weeks after the features were added to the iOS and Mac applications for Apple devices. Now in Evernote for Android adding a reminder is as simple as tapping on the alarm clock icon in a note. Once you’ve created a Reminder, you can optionally add a due date. By adding a due date, you will receive notifications both on your device and via email is you prefer to keep you on track. Check out the video below for a quick overview of the new features. For more information on the new Evernoite update for Android jump over to the official blog website for details.